Ships today if you order in the next 11 hours 14 minutes. Flaxseed oil contains omega fatty acids, which are important for your diet. It is also one of the best vegetable sources of lignans, chemicals found in plants that act as antioxidants in the body. The omega fatty acids are essential polyunsaturated fats that may benefit the body most effectively when consumed in proper balance: two to four times fewer omega-6s than omega-3s. Unfortunately, most American diets deliver up to 25 times more omega-6s. When supplementing, assess your diet and choose a product that will provide a healthy balance. 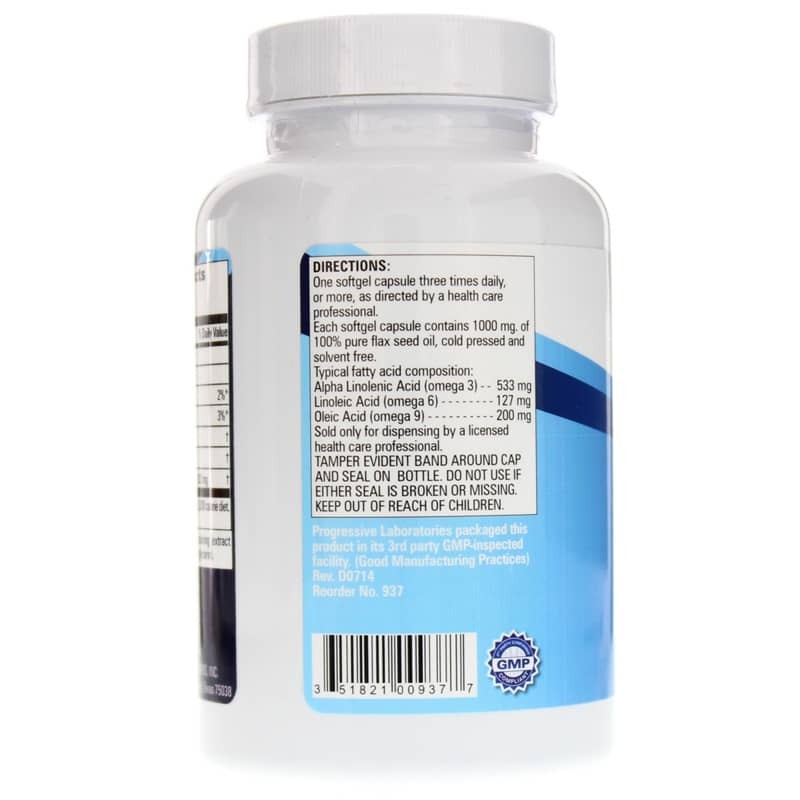 Progressive Laboratories offers a natural supplement called Flax Oil Capsules that seeks to support cardiovascular health, normal swelling and irritation levels, and healthy-looking skin. 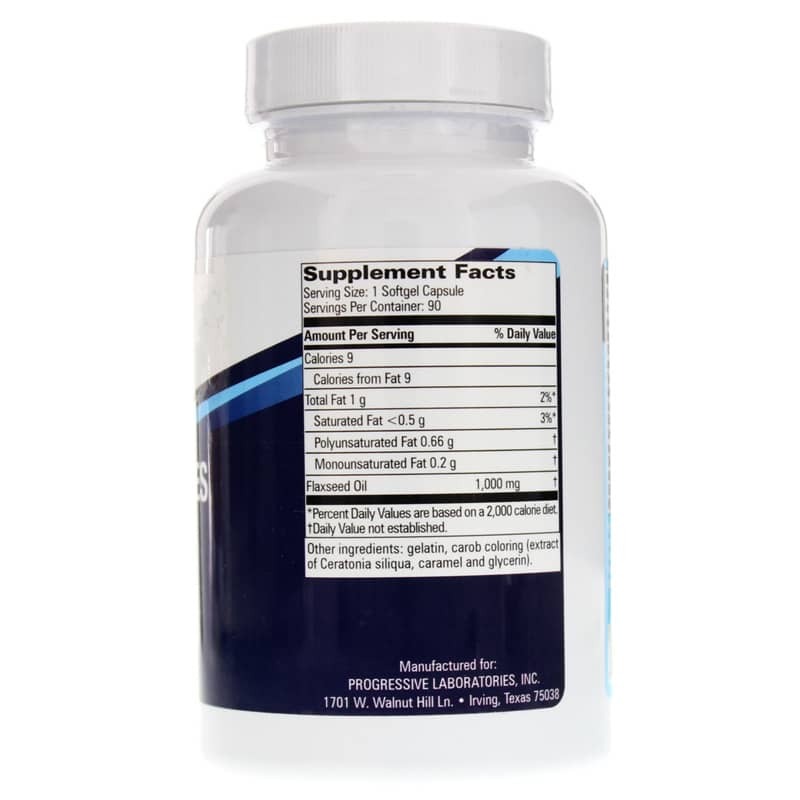 This supplement's typical fatty acid composition is 533mg omega-3, 127mg omega-6 and 220mg omega-9. 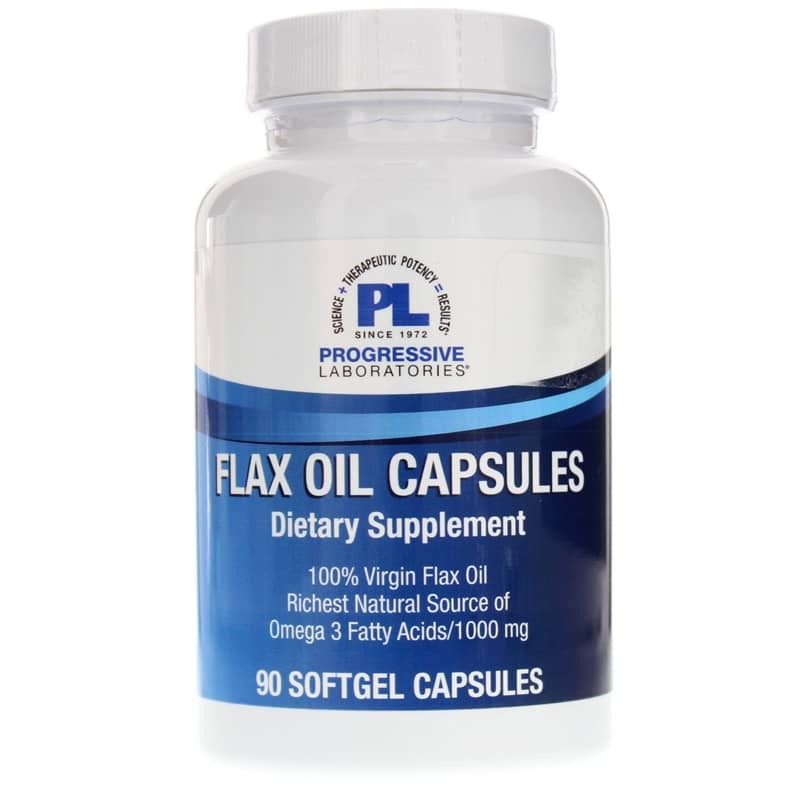 If you're looking for a natural, omega fatty acid supplement, consider Progressive Laboratories' Flax Oil Capsules. Order online today! Other Ingredients: gelatin, carob coloring (extract of Ceratonia siliqua, caramel and glycerin). Adults: One softgel capsule three times daily, with meals.